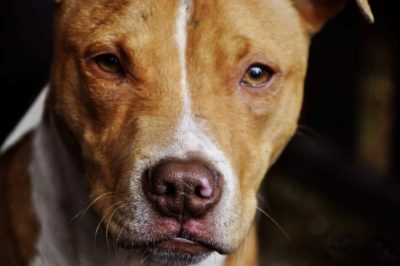 Goal: Demand Kentucky town reverse recent ban on certain dog breeds. Lexington, Kentucky has just banned ownership of certain dog breeds, which may force owners to give up their beloved pets. Breeds such as Great Danes, huskies, and the ever-maligned pit bull will no longer be welcome in the city, due to being seen as ‘aggressive’ regardless of the actual temperament of the dogs themselves. For years, owners of these dog breeds have been forced to live with the stigma attached to their pets, despite growing proof that none of these dogs are the heartless killing machines the public makes them out to be. This holds especially true for pit bulls, who have been unfairly demonized over the past several years. Furthermore, the possibility of owners being forced to give up their cherished pets to placate the paranoid masses is unreasonable and cruel. Just as no human being should be discriminated against based on the color of their skin or their ethnicity, no dog should be treated just as poorly based on their breed. We cannot let dog owners be deprived of their companions by the masses based on ridiculous misconceptions. Sign this petition to demand this ban be reversed immediately. Lexington’s recent ban of Great Danes, huskies, Rottweilers, pit bulls, and other ‘aggressive’ dog breeds may force owners to say goodbye to their beloved pets. Despite growing evidence that these breeds are not the heartless killing machines the public claims they are, they continue to be slandered by public paranoia. This holds especially true for pit bulls, possibly the most unfairly demonized dog breed in existence. A dog’s temperament is not defined by its breed. While concern over badly behaved and legitimately aggressive dogs is understandable, it is ridiculous to ban entire breeds based on the possible behavior of individual animals. Dogs do not deserve to be exiled and demonized based on their breed, and their owners should not be forced to give up their beloved pets. Reverse this ban now, and stop the spread of dangerous misconceptions about these dog breeds.